We’ve compiled a series of resources for social services based around some of today’s most pressing challenges facing everyone from director to caseworker. 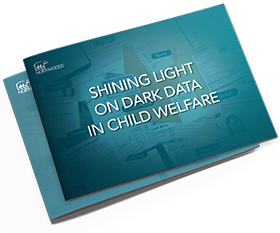 It is unrealistic for anyone in child welfare to remain constantly up to date on every case, especially when so much of the information is hiding in the dark. If social workers are unable to access and use the information they need while protecting vulnerable children, there could be fatal consequences. What is "dark data?" Why do child welfare organizations need to use it? What are the consequences if they don’t? Download our eBook to learn more about the challenges of dark data to your agency—and how a system of engagement can help.